At any given worksite, there are a number of instances in which technicians may want to get a better vantage point to complete a task. While traditional solutions like ladders are common, these often have several drawbacks. In addition to providing relatively poor stability, technicians can only take a limited number of tools with them. 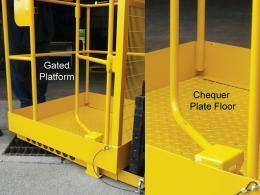 The Workplace Depot is excited to offer the Economy Access Platform. 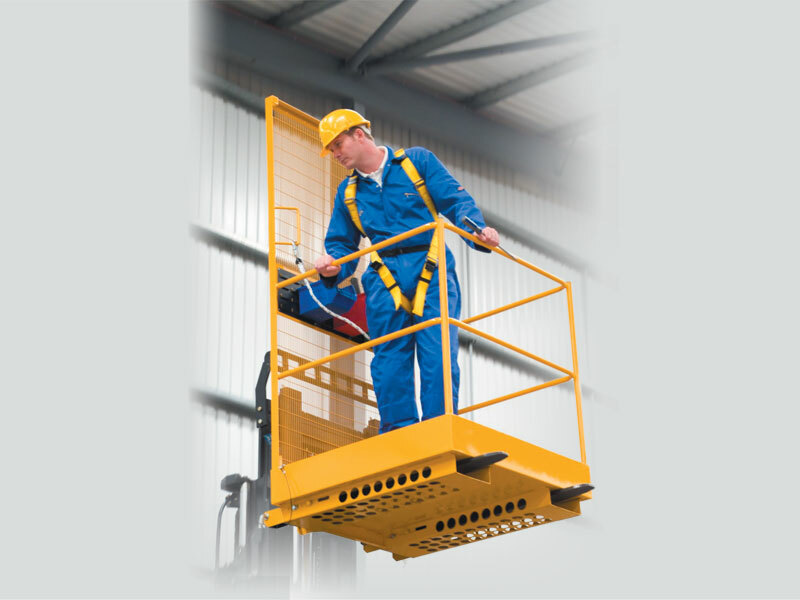 This valuable unit can be attached to any standard forklift to provide the stable, precise, and handy platform technicians need to complete jobs that are high up. The economy access platform is designed to provide additional height for commercial projects while simultaneously providing multiple benefits that traditional ladders don’t offer. In addition to providing more stability, the unit is designed to accommodate multiple tools and keep them from falling off during even the most involved projects. In addition, the fact that the unit is a fork lift attachment makes it easy to get the precise positioning needed and direct access to the area of interest. This product can be used at a variety of commercial sites and businesses. Any company that has a fork lift can make use of this accessory to provide technicians with a valuable tool to make higher jobs as easy as those on the ground level. Suitable for indoor and outdoor use, it can help you stock high shelves in the supply room and can also make any commercial utility task much easier. This product may prove useful for anyone who wants a simpler and more efficient way to accomplish jobs that are higher up. By removing the need to hold onto a ladder and reach around it, this unit allows technician to utilize their full skillset and focus. Jobs that require a large amount of tools can also be sped up by this unit, as it allows technicians to transport and switch between various tools as needed. 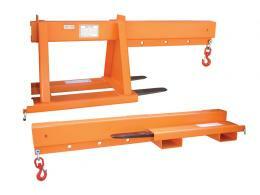 The economy platform utilizes a non-slip floor and safety harness to hold up to 400kg. 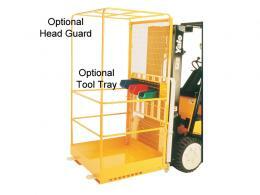 Technician can easily move tools and heavy components on this unit. Standard and gated models are both available, and we will match any price. Don’t let a change in elevation cause your workmanship or schedule to suffer. Invest in the economy access platform today!